What is the impact of the family environment on us, particularly with regard to our intellectual functioning? Does the role of early family environment wear off, as some researchers have suggested, or does it maintain or possibly even become more important as we grow older? 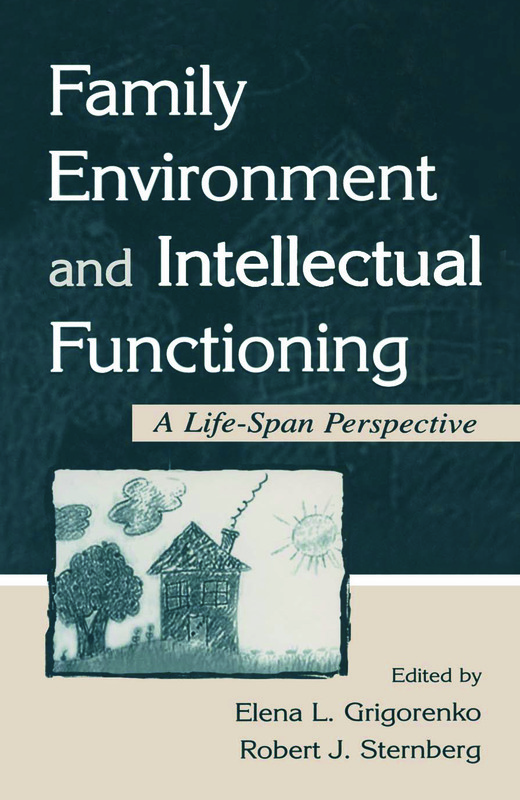 This book examines the interrelationship between family environment and intellectual functioning in a lifespan perspective. Covering a wide range of topics, it provides the most comprehensive and up-to-date examination of life-span family influences on various aspects of intellectual function. *educators gain a better grasp on how the students they teach are products not only of their genes and environments, in general, but of their family environments, in particular. Contents: Preface. A.S. Carter, K.K. Murdock, The Family as a Context of Psychological Functioning. E.L. Grigorenko, Arguing for the Concept of Developmental Niche. K. Marjoribanks, Family Capital and Cognitive Performance. J.L. Rodgers, The Confluence Model: An Academic "Tragedy of the Commons?" J. Guidubaldi, J. Duckworth, Divorce and Children's Cognitive Ability. M.R. Burchinal, G.I.L. Caskie, Maternal Employment, Child Care, and Cognitive Outcomes. L. Okagaki, Parental Beliefs, Parenting Style, and Children's Intellectual Development. D. Finkel, N.L. Pedersen, Sources of Environmental Influence on Cognitive Abilities in Adulthood. C.L. Johnson, Family Functioning and Intellectual Functioning in Later Life. G.M. Ehrle, Grandchildren as Moderator Variables in the Family, Social, Physiological, and Intellectual Development of Grandparents Who Are Raising Them. R.J. Sternberg, E.L. Grigorenko, Degree of Embeddedness of Ecological Systems as a Measure of Ease of Adaptation to the Environment.